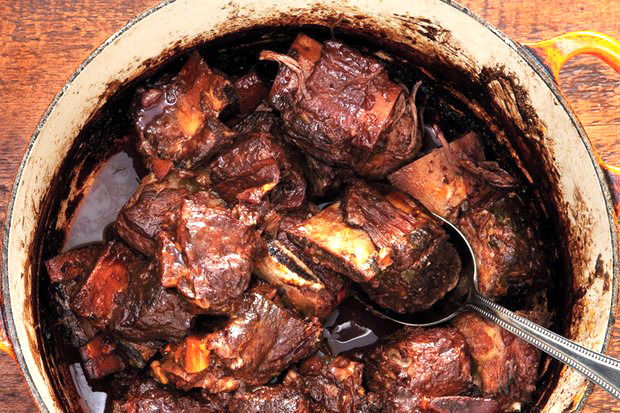 Red wine braised short ribs . . . When the ribs are done, pull on a bone. It will slide out freely.